Photographing birds out in the wild seems pretty tough. 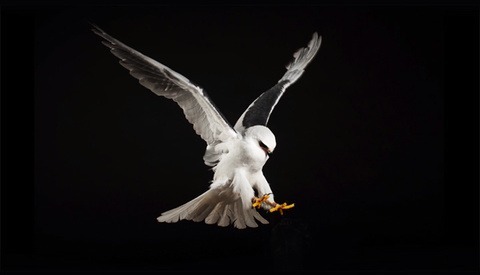 Oregon photographer Jon Myers wanted to make the challenge even tougher by bringing the birds into his studio. Using large softboxes to create a space for the birds to fly, Jon was able to photograph eagles, ospreys, and hawks perfectly while in flight. The shots are spectacular, and if you click the full post you can see them shot against grey as well. 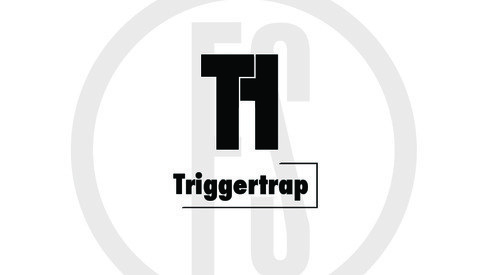 If you recall, earlier this week we announced the availability of a new iPhone app that you can use to trigger your camera in various ways called TriggerTrap. Though I am still waiting on my dongle, I've had some time with the app and have to say, I'm excited to hook it up to my DSLR. Leica has gone against the grain of recent camera bodies with this interesting release of a digital camera that shoots only black and white images. The Leica M-Monochrom is a full-frame, 18MP Rangefinder style camera. What do you think of the price of something like this? Novelty or in a class all on it's own? Product photos and tech specs after the jump. Check out this very cool video from Daniel Linnet as he shoots for Top Gear Magazine. 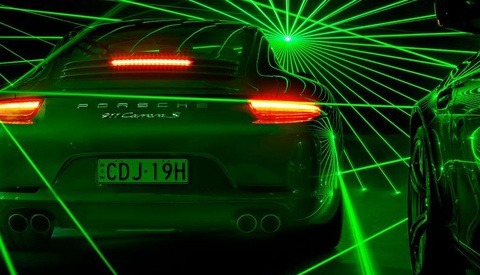 It looks like the images were shot with Kino Flo lights and lasers and creates some stunning final images. Underwater photography is a kind-of-rare form of photography. Its way less accessible for most of us, as most of us cant afford the super expensive DSLR underwater housing, and Intagram will probably fail in this mission as well. 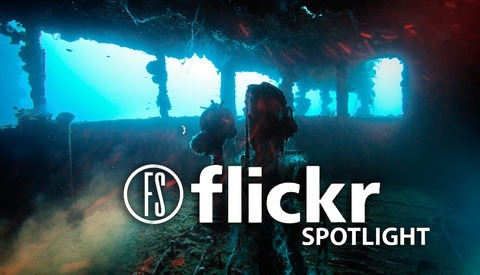 Most of underwater shots we get to see are of nice looking fish, or a cool coral reef - but this time we're bringing you something even cooler - the best underwater shots of sunken wrecks: ships, planes and cars. When I caught wind that the tripod masters at Really Right Stuff were about to release a new product, I couldn’t wait to get my hands on it. I love new gear. Because it had not even finished final production yet, they unfortunately could not send me a brand new one in time to satisfy my desire to see it. However, they didn't want to disappoint and instead sent me the prototype! Score! 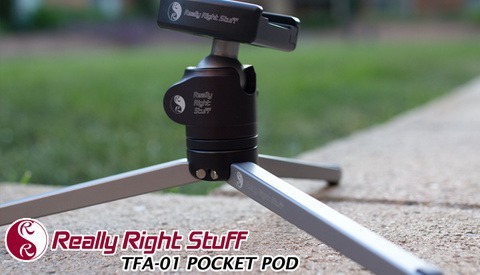 Let’s take a look at the TFA-01 Pocket Pod. 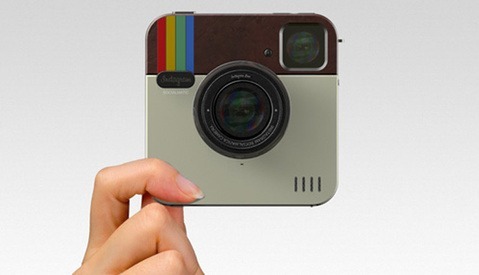 The square Instagram App icon has become very well known to most of us. What if it was real? The team over at ADR studios rendered what it would look like if the icon became a real camera. Would it be something that you would buy if it was a possibility? Currently (as of 4pm eastern time) Scott Kelby's live tv show is currently on the air with guest Peter Hurley. 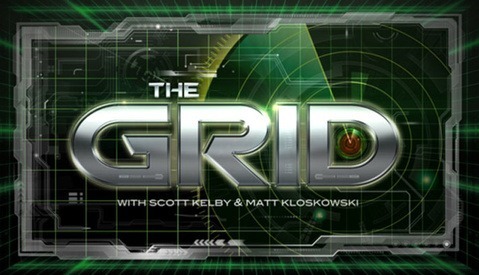 Head over to Kelbytv.com/thegrid to watch Peter's interview live. If you are like me, you feel pretty confident editing images in Photoshop, Aperture, or Lightroom. If you have ever tried to do similar edits for your video in Premiere or Final Cut, you know how frustrating it can be. It seems like these video programs don't have all of the necessary tools and they don't seem to work as well as photo editing software. If you don't mind a couple extra steps, you can easily edit your videos just like a still photograph in the program of your choice. Sometimes great pictures just show up and all you have to do is press the shutter. The majority of the time, however, they takes careful planning. 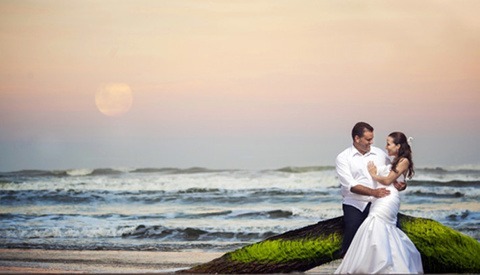 Andre Fernandes planned out this trash the dress session quite well, taking advantage of a once in a year opportunity using the super moon as a unique background. Howdy everyone and welcome to the Wednesday Rundown. 8 Bit Digital TV sent in a great video on how to key a green screen in After Effects. They do a great job showing the best way to approach this. Also check out the behind the scenes of The World Underneath, and see the amazing work from Graham Eaton. If you have a great and informative video you want to see in the Wednesday Rundown please shoot me an email jerrit@fstoppers.com . For many of us, Polaroid cameras hold a special place in our hearts. What started as the original instant camera evolved into an art form beloved by hipsters and pro photographers alike. Polaroid has struggled lately, as digital photography has forced the instant photo classic out onto the fringes. 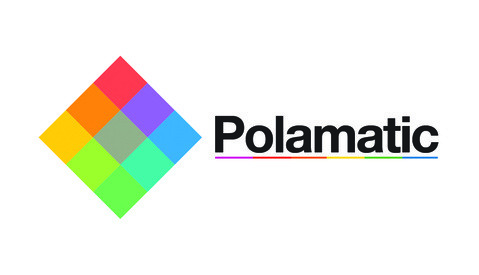 App developer Appadana licensed the Polaroid name to build an iOS version of their cult classic camera and make it modern. The result: Polamatic. As anyone who has tried to shoot video with a DSLR knows, creating a smooth, professional follow-focus motion can be a bit of a nightmare unless you're willing to shell out for high-end equipment, and then deal with lugging it all around. 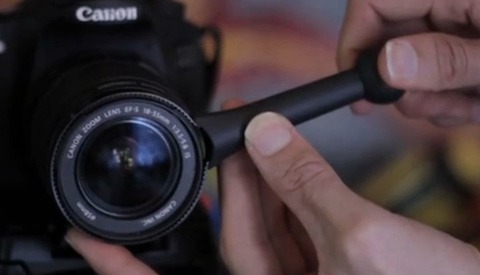 How about a $45 solution that gets amazing results and works on any DSLR lens? AhhhYUkin! 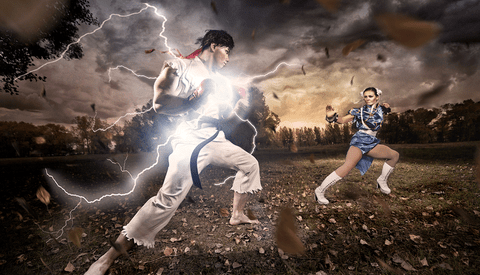 Here is a great "blast from the past" set of Street Fighter photos from photographer Alexander Nerozya. He and his friends came together to create a pretty impressive collection of images that any gamer would be proud of. Open the post to see his full description of how he made the images, complete with BTS shots and video. Enjoy! It's not everyday that you get to see a rare 1970s Nikkor 6mm Fisheye lens. 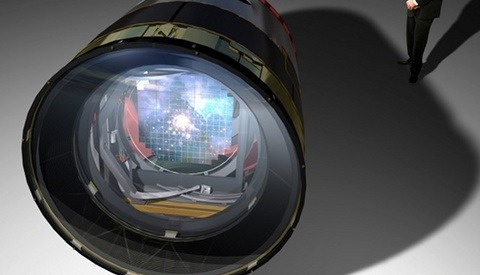 It's even more unlikely that you get to see one mounted to the rare Nikon D800 DSLR body! The guys at Grays of Westinster mounted the two elusive beasts to show how insane it is to have a 220º angle of view. If you have $160,000 saved up, and need to see behind you as you shoot, it might be worth picking up one of these rare lenses. Now where are those full res D800 files so everyone can complain about purple fringing? 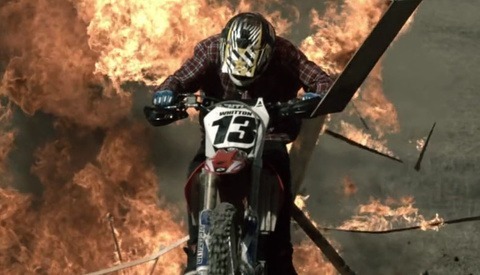 Here's a sampling of the latest slow-mo camera from filmbot, the Phantom Miro M120. Jim Geduldick takes us behind the scenes and shows us how he was able to show off the new slow-motion capabilities. 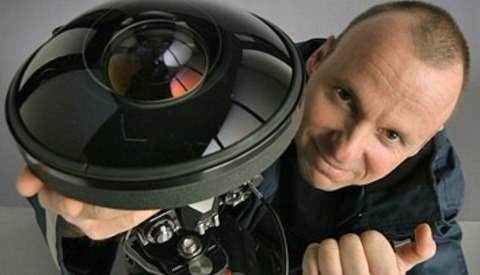 This camera captures 750 fps at 1080 HD. What do you think you could do with that kind of picture quality? 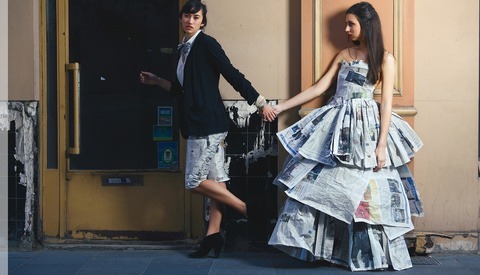 Check out this fashion shoot from photographer Youness Val Bouslame who shot a very interesting paper dress using only a single beauty dish. I love how the video gives you a side by side look at the shooting of the image and the final image. Definitely a simple lighting set up and some beautiful results. Check out this beautiful series of images by South Carolina-based photographer Marco Suarez. 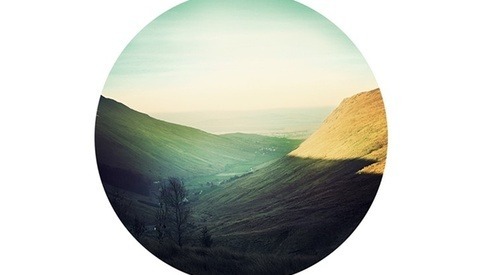 I'm sure these Irish landscapes would probably be just as great in a normal crop. But the circles add something nice to the composition. It's not something I see too often, and I think it's very appropriately used in this case. They have a nice mood to them, and I'm more drawn to slightly desaturated landscapes. It's 3pm. Outside it is humid, blazing hot, the ambient light is reading f32, and your bride wants portraits taken now....all you have on you are your speedlights. If you are a wedding photographer, you probably have found yourself in a familiar situation. Even if you have enough power to balance your shots with 1 or 2 speedlights, your flash's refresh rate becomes a major kink in getting photos taken quickly. Having one of these power packs might just save your day. UK Company Triggertrap have been making camera triggers for some time now, and recently released an iOS app that offers remote control of many DSLRs, in addition to control the iOS camera itself. 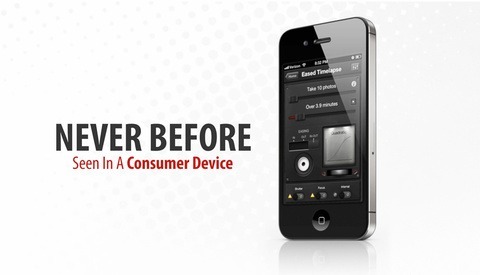 Unlike other remote apps available though, the Triggertrap Mobile can be triggered by things like sound, vibration, and facial recognition. Other notable features include eased timelapses that create a ramped-up speed effect over time, distance-lapses, and doing HDR captures. It’s rare these days to find a product that is so well rounded that it can appeal to an entire market of users. 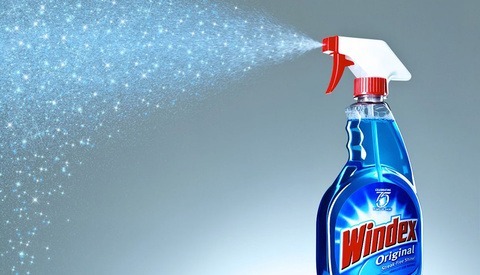 Especially in photography, it is not uncommon to find products that claim to be designed “for beginning to advanced users” but suffer greatly from the attempt to spread out over such a vast range. 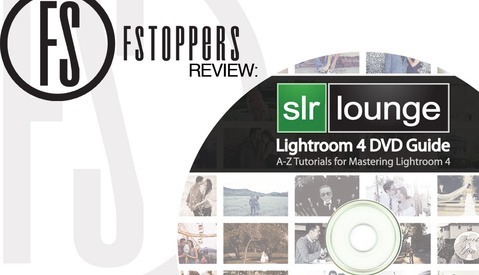 SLR Lounge's Lightroom DVD is advertised to be an A-Z Lightroom mastery experience, so does it live up to it's claim? 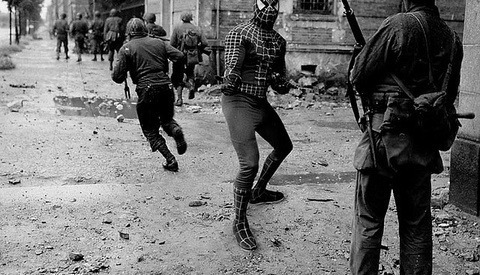 Photographer Agan Harahap has created some rad photos of super heroes (and villians) appearing in historical photographs. Not sure what he did to create these, as I can't find much more on this guy other than his Flickr stream, but the photoshopping is great. Enjoy! 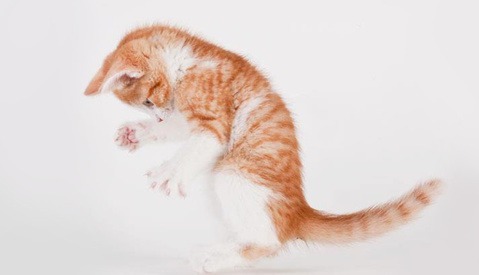 Arizona based photographer, Michael Kloth, started taking photos of sheltered cats in hopes to get them adopted by showing their personalities. “My experience has been that quality photography is the first step in marketing these furry works of art to potential adopters. 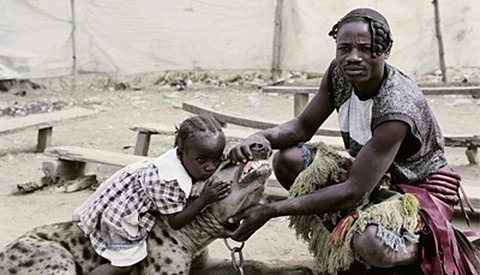 It is my hope that I can use these local animals as a voice for the millions of homeless animals nation and worldwide." If you read Fstoppers, you might be a seasoned professional, or you might have just purchased your first camera and are eager to learn. 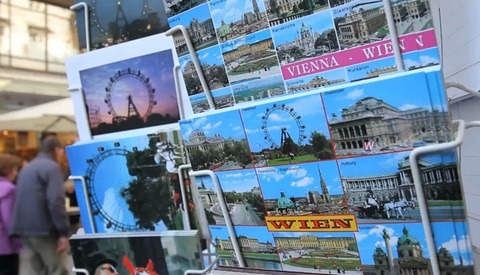 Whatever your skill level, I'm sure that you've all been bitten by the travel bug at least once before, and as a camera owner, you've been inspired to bring home the best you can when shooting in a foreign location. A friend of mine recently sent me a video made by DSLR Traveler which is packed full of tips for anyone interested in improving their travel photography. 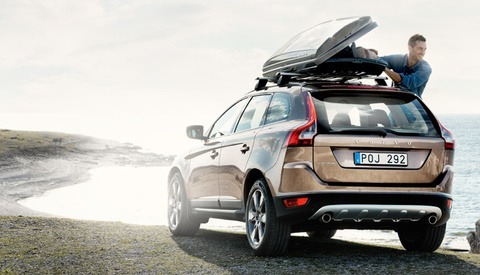 Here's a behind the scenes video for Volvo's upcoming Summer campaign shoot. They traveled to Gotland, Sweden, which appears to be absolutely gorgeous. Don't be fooled, the guy with the smaller camera is a model, not the photographer. 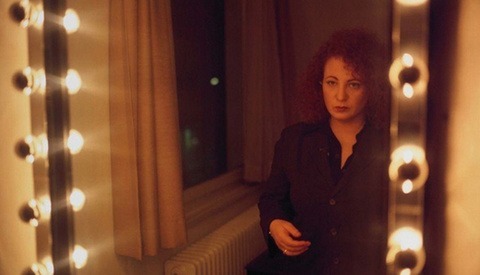 Thanks to a friendly reader, we know that the photographer is Gothenburg-based Marcel Pabst. If you take a glance at facebook or any other social media site you're bound to come across the dreaded "Mirror Portrait", mostly it's just a bunch of 15 year olds holding their cell phones up so they're far from dignified. That being said though, I was surprised to know that some of the most famous photographers around have taken their own version of this all to common shot. They're a little more interesting though than your standard mirror picture though.